Are you looking for a tropical honeymoon island with picture postcard views and white sand beached but you don’t have a passport? You don’t need a passport to fly to the US Virgin Islands from the US- all you need is a valid government issued photo ID. The islands of St Thomas, St John and St Croix are the 3 Caribbean islands the make up the US Virgin Islands and since they are US territories, US citizens don’t need passports. This makes it a great honeymoon destination for the first time Caribbean traveler. These islands still give you the laid back tropical feel but without the language barriers of some of the other islands in the Caribbean. 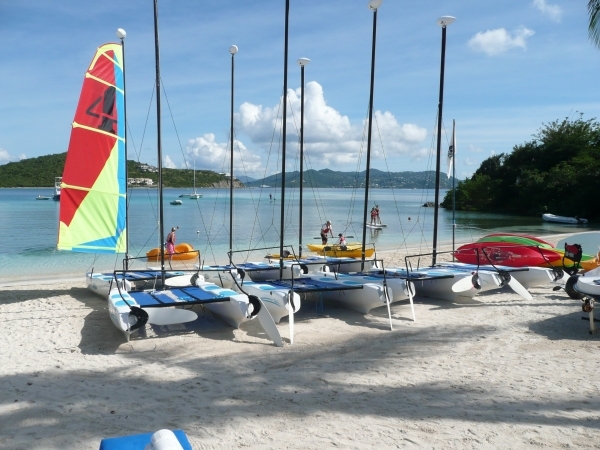 With fabulous beaches, great water sports and world class shopping, St Thomas is a major cruise ship port of call but it’s also a great island to spend your vacation on. With some upscale resorts like the Ritz Carlton and the Marriott, intermingled with family run resorts like Bolongo Bay and lots of condo rentals, St Thomas can fit many budgets. AND there are easy nonstop flights from many US airports. St John is more secluded and over 75% is park land. 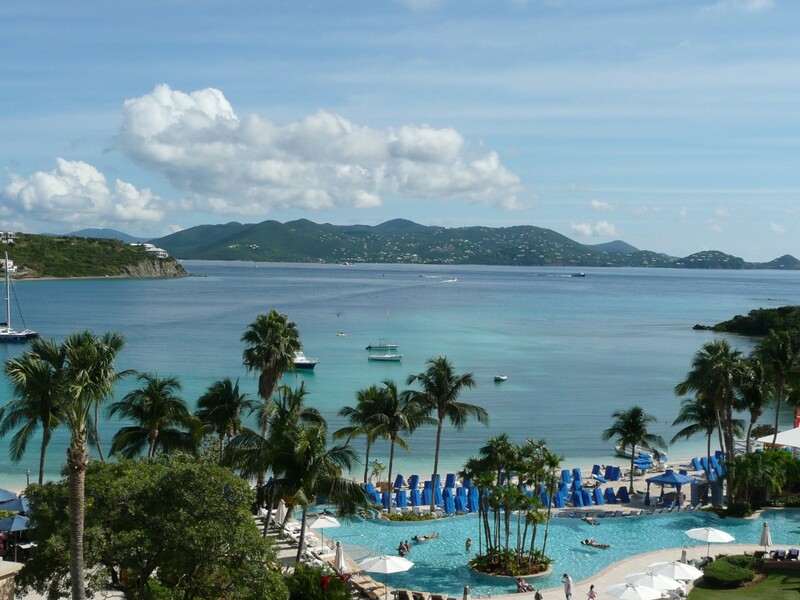 With 2 fabulous resort, the Westin and Caneel Bay, St John will set you back a few dollars but for those looking for a quiet and upscale honeymoon, St John may fit the bill. St. Croix is the largest of the U.S. Virgin Islands. At the east end — which actually is the easternmost point of the United States — the terrain is rocky and arid. The west end is more lush and even includes a small “rain forest” of mango, mahogany, tree ferns, and dangling lianas. Between the two extremes are beautiful beaches, rolling hills, pastures, and, increasingly, miles of condos. It is more relaxed than St Thomas and has smaller, more boutique hotels. Let My Vacation Lady help plan your passport free vacation or honeymoon to the US Virgin Islands.